LESTER ALLEN: We Need More Info!!! 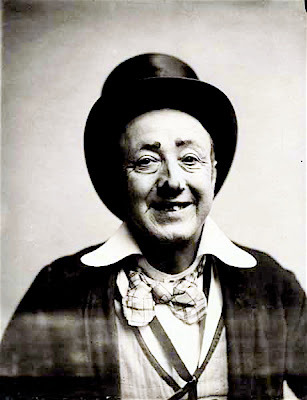 He started out as an acrobat with Barnum & Bailey, did burlesque and vaudeville (as a double act with Nellie Breen), spent six years with George White's Scandals and another five with Earl Carroll's Vanities. 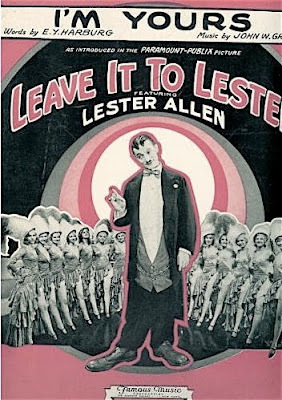 He played bit parts in films between 1929 and 1949 and toured with both revues and book musicals. He was killed by a 25 year old driver in 1949 when he was run down crossing the street to return to work at Bud Abbott's Back Stage Club. Abbott and Costello organized and headlined the benefit show to help his widow. As to his actual comedy and performing style? I haven't a clue. Entertainer. Born in Utica, New York, he made his stage debut in 1905 and joined forces with Nellie Breen to create the popular vaudeville comedy duo, Allen & Breen. He enjoyed even greater success as a solo act and was a frequent emcee at New York's Palace Theatre. On Broadway, the dapper, mustachioed Allen was featured in the first six editions of George White's "Scandals" revues (1919 to 1925), and he also wrote the book for Earl Carroll's "Vanities" (1925) and lyrics for the hit musical "Gay Paree" (1925). 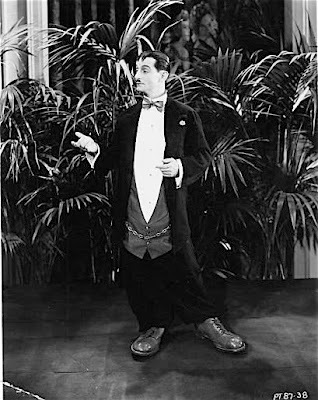 With the decline of vaudeville in the 1930s he moved to Hollywood and played comic character parts in films, notably as Uncle Capucho in MGM's "The Pirate" (1948) and as Geoduck in "Ma and Pa Kettle" (1949) and "Ma and Pa Kettle Go to Town" (1950). His other screen credits include "The Great Flamarion" (1945), "The Dolly Sisters" (1945), "The Dark Mirror" (1946), and "That Lady in Ermine" (1948). The Fratellini Family was a famous circus family in the late 1900s and 1920s. An engagement at the Circus Medrano in Paris, France, after World War I was so successful that it sparked a strong resurgence of interest in the circus. By 1923, the Fratellini brothers had become the darlings of the Parisian intellectuals. They were lauded in print and worshiped by adoring fans who would show up at the circus just in time for the Fratellini entree, which sometimes ran as long as forty-five minutes. Their father, Gustavo Fratellini (1842–1905), was an Italian patriot rebel, along with Giuseppe Garibaldi. Gustavo Fratellini took part in the unification of Italy. Some of the family later settled in France. It wouldn't matter what either side said at this point. I want a REAL third party this November so we can begin voting ALL the incumbents out. Please click the title of this post to read the article. "No amount of words can describe the friendship Dale and I shared. From the first day of Clown College until now. You were always a true professional and had a great love for the circus. It showed in everything you did. I am proud we crossed paths in this lifetime. You were an influence and always there to support whatever I did. Thank you for all the years." 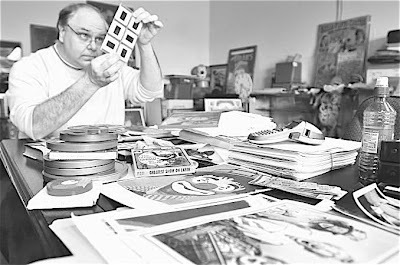 Greg DeSanto sorts through memorabilia at the new Baraboo headquarters of the International Clown Hall of Fame and Research Center. DeSanto was recently named the organization's executive director. An organization dedicated to historic preservation announced Monday it is moving its headquarters to Baraboo, and has appointed a clown as its new leader. Sound like they hired the wrong guy? Not if you’re talking about the International Clown Hall of Fame and Research Center. "We are delighted to send in the clowns — and send them to Baraboo, back home where they belong," said Greg DeSanto of Baraboo, who was recently named the organization’s executive director. 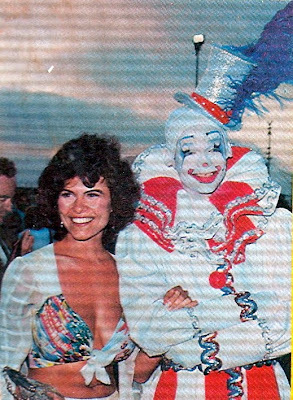 As a husband and wife clowning duo, Greg and Karen DeSanto performed at the Circus World Museum for more than seven years. 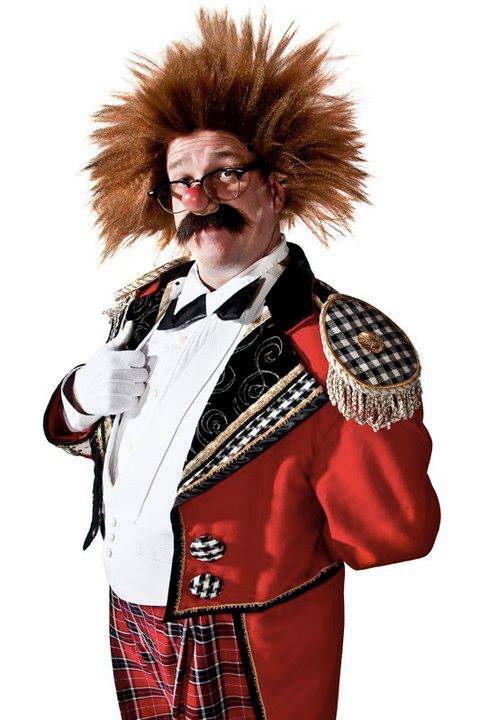 Greg has also been featured in Ringling Bros. and Barnum & Bailey, the Big Apple Circus and other major shows around the world. After ICHOF’s lease ran out at its former Milwaukee base, memorabilia was moved into storage, where it has sat for the last year and a half, DeSanto said. He was busy Monday sifting through boxes of old photos, props, and shoes so big they would make Shaquille O’Neal blush, at ICHOF’s new Baraboo headquarters on Fourth Street across from the Sauk County Courthouse lawn. DeSanto has had some help sorting through material from Ralph Pierce, president of Circus World Museum, Inc., a founding and fundraising arm of Circus World. Pierce, a longtime collector of circus memorabilia, said ICHOF’s new headquarters is a perfect fit for Baraboo, the capital of circus history. 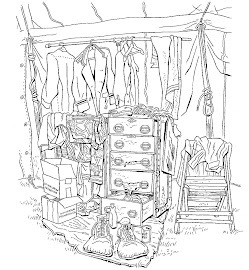 And he said ICHOF provides a unique look at life as a circus clown through pictures and documents that show performers in their personal lives outside the circus tent. "It’s adding some additional history that might not have been known before," Pierce said. "It kind of shows how they interacted with people. You’re getting the whole social aspect of the performer." DeSanto said he is hoping to open the downtown ICHOF office to the general public on April Fools’ Day. 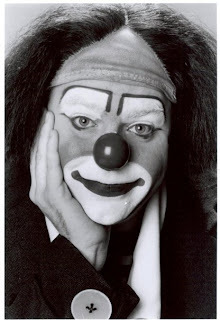 The non-profit ICHOF was created in 1986 and is dedicated to honoring and supporting the international art of clowning. ICHOF also runs a Caring Clown program that provides therapeutic humor for children and families at the Milwaukee’s Children’s Hospital. The organization’s Long Term Laughter Care entertains elderly residents at nursing homes and assisted living centers. 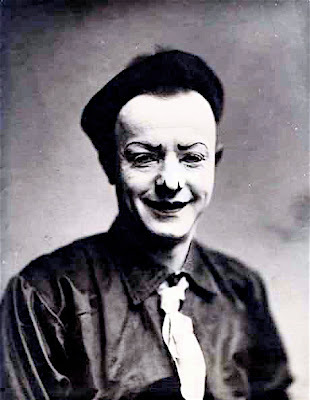 Since its inception, ICHOF has enshrined 61 people, such as Charlie Chaplin and Red Skelton, who have been instrumental in enhancing and advancing the art of the clown. The long list of entertainers includes Jimmy Williams of Baraboo, who spent 50 years as Happy the Clown. Williams said DeSanto is the perfect man to lead the organization. "He was at Circus World after I was and they were very funny, he and his wife," Williams said in a phone interview Monday. "It’s a wonderful thing for Baraboo. 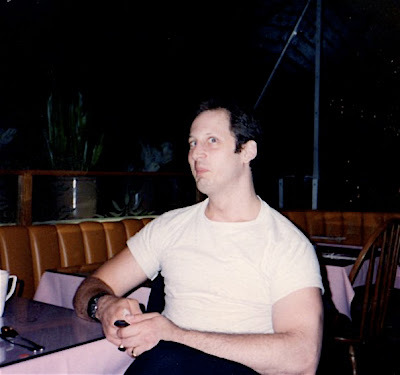 Please click the title of this post to link to Stephen Worth's (Director of the ASIFA-Hollywood Animation Archive, and former SPUMCO employee) retelling of a story told to him by the legendary Vance Colvig. 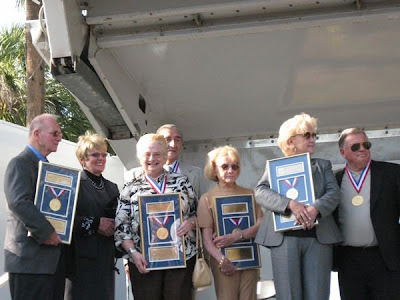 The official program (below) for the 2010 23rd Annual St Armands Circle Ring of Fame induction ceremony outlined the activities held in St Arrnands Circle Park but left out the best part: As each person took the podium, we heard circus history firsthand. The crowd loved every minute of the event. Wild applause came easily. 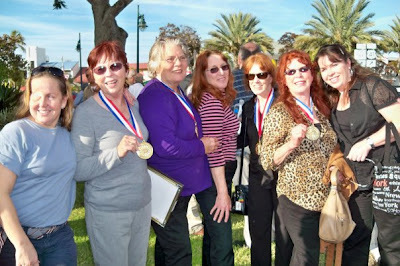 Tourists sensed the excitement and joined the crowd to celebrate six giants of the circus arts. Rousing circus music set the mood, thanks to the Sarasota Concert Band under the baton of Charles Schlarbaum. The Honorable Richard Clapp, mayor of Sarasota, highlighted recent local circus news, including the unveiling of a historical marker at the former home of circus greats Karl and Helen Wallenda and the announcement about expansion plans for the Circus Museum at The John and Mable Ringling Museum of Art. Master of Ceremonies Chuck Sidlow created mini-shows for each inductee. First a speaker introduced the honoree. Then Sidlow called the circus star forward and placed a lavalier with the Circus Ring ofFame medal around the person's neck in Olympic fashion. Then the emcee read aloud the individual commendation. Renowned Chimpanzee Trainers Rudi and Sue Lenz were first up, followed by John Pugh of Cole Bros. Circus, Animal Trainer Manuel "Junior" Ruffin, Trapeze Artist Tony Steele, Highwire Walker Tino Wallenda-Zoppe and the multi-talented Dime Wilson Family. Follow the links to read in-depth about each of these legendary performers. 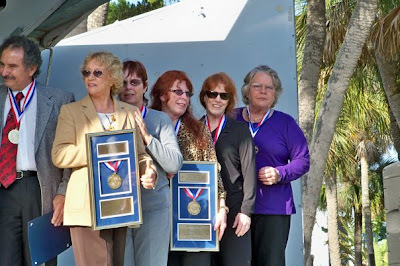 After the inductions and sponsor recognition, everyone adjourned to the southeast side of St. Armands Circle Park and six new plaques swaddled in a red covering. After Sidlow counted 1-2-3 and blew a whistle, the inductees whisked off the wraps and posed for the cameras. Here's the Larible version of the Knifethrower Gag performed on Oscar Garcia's Star Family Circus by my friend Andrew Scharff. Oh wait, that's NOT Andrew, that's just his costume with a beret. Tomorrow morning, I'm having waffles! 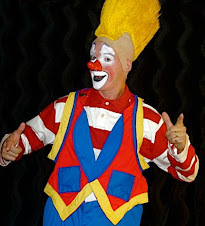 What better way to start off 2010 than with some thoughts on clowns. Not the Ottawa or Washington variety. I mean the genuine article ... those guys in the big shoes and baggy pants who make life a little more palatable with their often inspired takes on the wacky ways of the world. I wrote a letter to a Ringling Bros. clown when I was a boy and we became pen pals for 10 years. He tried to discourage me from following in his footsteps. He advised me to get as much education as possible and do something "useful" with my life. So it is with some authority that I say that clowns are, by and large, a melancholy lot. Maybe it's because the profession means no stability ... no permanent home with friends and family ... because they are always on the road, always trying to find that next gig that hopefully will be waiting for them. But maybe it's not nurture. Perhaps it's nature. People become clowns because they are natural outsiders. To be a clown ... to understand the comedy and tragedy in everyday life ... is to be an observer and not a participator. I think clowns have to be lonely in order to do their life's work. One of the most famous clowns that nobody ever heard of is Frank "Slivers" Oakley. But if you had lived at the dawn of the 20th century, Slivers would have been as familiar to you as Charlie Chaplin. Slivers' life was fraught with tragedy. His wife died young. His clowning partner, Dan Luby, was killed in a freak circus accident. When silent films came in, circus clowning was relegated to the back burner of the show business hierarchy. Late in life, Slivers fell in love with a girl much younger than himself. He lavished gifts upon her and convinced her to come live with him. The young girl eventually ran away, stealing Slivers' wife's jewellery as she left. She was nabbed by the police and sent to a reformatory. Slivers, obviously heartbroken, wrote her a letter forgiving her. He wanted her to come back to him when she got out of jail. She sent word that she never wanted to see him again. Several days later, Slivers' landlady found him in his room, dead ... the doors and windows sealed tight, the gas jets on full blast. 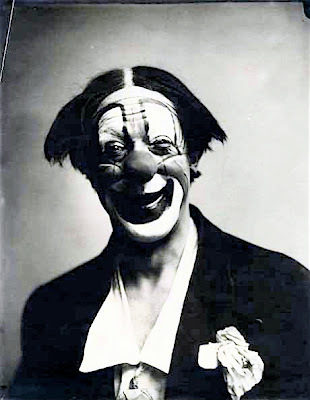 Another famous clown of the early 20th century was Grock, whose real name was Charles Adrien Wettach. Grock, from Switzerland, charmed all of Europe with his musical and acrobatic talents. He was perhaps the entertainment world's first superstar. As the story goes, a man in Vienna suffering from depression went to see Sigmund Freud. Freud had been to the circus the night before and he gave his patient some unique advice. Freud told the man "after watching Grock for 10 minutes I was completely charmed by this clown's brilliance. Grock has given me a new lease on life. He makes people forget their troubles. So before I start any long-term therapy on you, my first advice is ... go see Grock!" The patient looked at Freud with a wistful smile. "I am Grock," he replied. THE BIG ANNOUNCEMENT: Greg DeSanto Named Director of the International Clown Hall of Fame and Research Center!!! Baraboo, WI (January 18, 2010) – A bright addition to Baraboo’s unique circus heritage was revealed today as The International Clown Hall of Fame and Research Center announced the opening of its new headquarters in America’s Circus City. Internationally renowned for its research and involvement in the art, craft and history of clowning, the ICHOF boasts the world’s most wide-ranging collection of clown artifacts and memorabilia, including wardrobe and props from many of the most famous names in clowning history. “We are delighted to send in the clowns – and send them to Baraboo, back home where they belong,” said Greg DeSanto, recently named the ICHOF’s Executive Director. 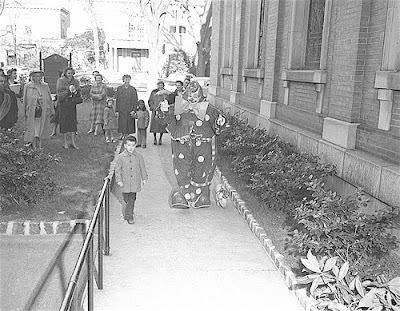 Himself a celebrated clown and circus historian, DeSanto, a Baraboo resident, performed at the Circus World Museum for over seven years. He’s also been featured in Ringling Bros. and Barnum & Bailey, the Big Apple Circus and other major shows around the world. As we expand our presence in Baraboo, we hope that scholars and historians and the public at large will experience our fascinating exhibits and extensive archives,” DeSanto says. Founded in Delevan, WI in 1986, the ICHOF was created as a not-for-profit 501(c)3 organization, honoring and supporting the international art of clowning. The first and only group of its kind, it provides both rich research opportunities and educational outreach, along with the world’s largest collection of artifacts and collections concerning the art of clowning. 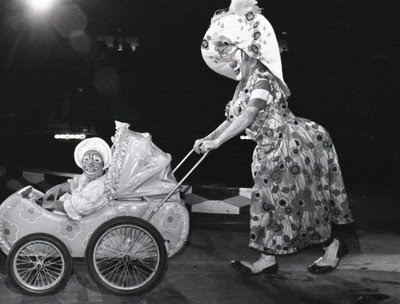 In 1988, the ICHOF began enshrining international artists who have enhanced and advanced the art of the clown. Since then, sixty-one performers have been inducted into the Hall, including Red Skelton, Lou Jacobs, Emmett Kelly, Otto Griebling, Felix Adler, Barry Lubin, Bobby Kaye, Jimmy Williams, Frosty Little, Steve Smith, Grock, Charlie Chaplin and Bill Irwin. The prestigious Lifetime of Laughter achievement award is also presented annually. Fulfilling its commitment to community outreach, the Hall’s Caring Clown program provides therapeutic humor for children and their families at the Milwaukee’s Children’s Hospital. With Long Term Laughter Care, the ICHOF brings fun and comfort to residents at skilled nursing facilities and assisted living centers. Please click the title of this post to read a very nice piece on Lou from the March 9, 1979 Sarasota Herald-Tribune. And yes, I need you feedback. Please let me know that you could or could not access the article. Thanks!